The Sacramento Bee reviewed CalPERS' documents to find how pension formulas used in the late 1990s and early 2000s dramatically boosted retirement allowances. 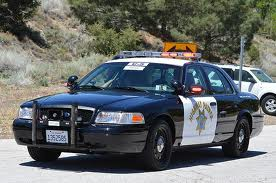 California Highway Patrol officers saw checks increase from $3,633 in 1999 to $7,418 in 2012. Rising salaries for California public-sector employees created big increases in average pension checks — with firefighters seeing benefits nearly triple since 1999, according to The Sacramento Bee.